Here I am with one of the most popular and common face washes in Indian household – Fair and Lovely Advanced Multivitamin Face Wash! Fair and lovely was the most sought-after drugstore brand among Indian girls some 8-10 years back. I still remember the fair and lovely cream commercial and tubes popular all over the cosmetic shops and in every household. 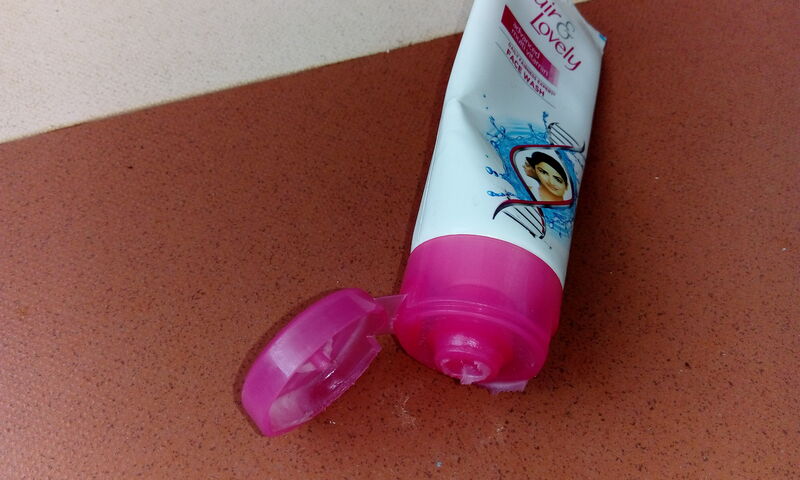 So, when fair and lovely came out with this face wash each and every girl grabbed it without second thoughts. So, let’s see if this multivitamin face wash is worth your love or not. 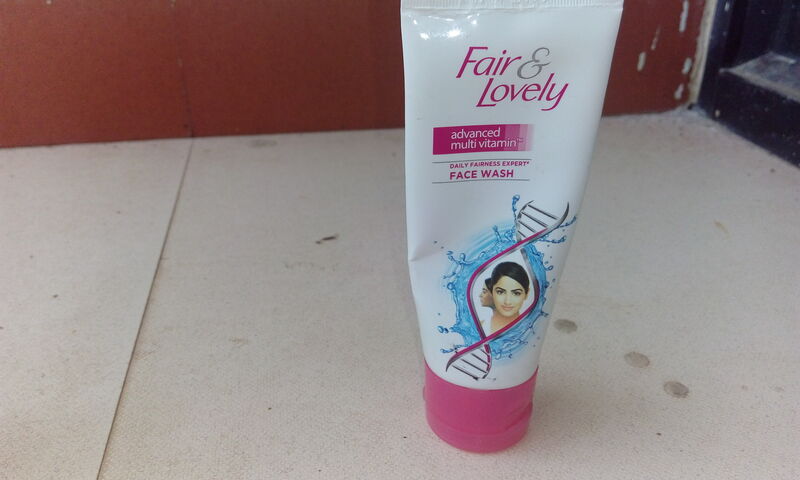 This face wash comes in the trademark packaging of pink and white the usual fair and lovely one. 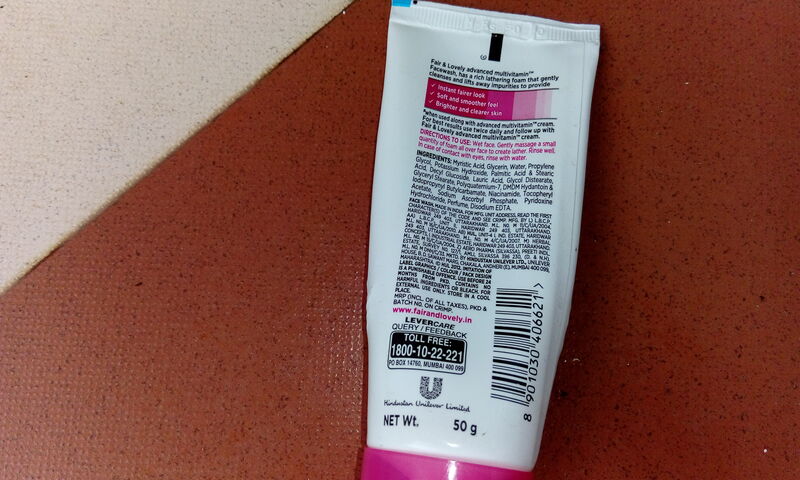 The packaging has the product name, claims and other details mentioned. 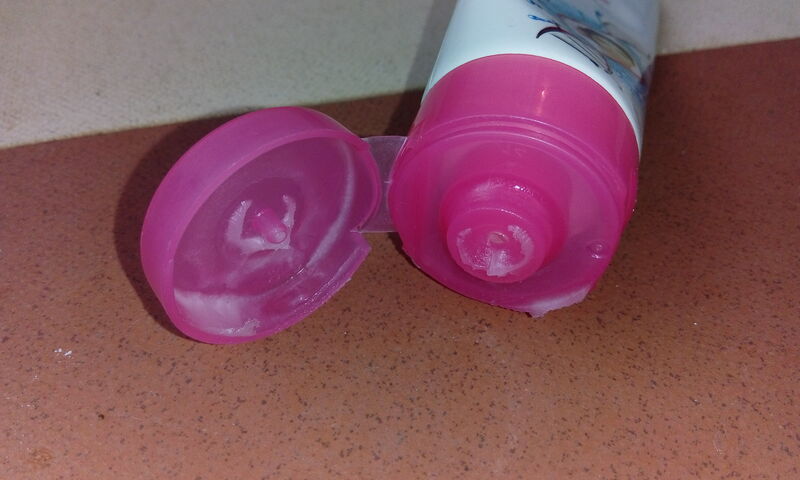 The face wash is in tube shape which is medium in size and weight. The tube has a flip flop opening with a tiny hole in the middle. The entire packaging of the tube makes it easier to carry while travelling. The face wash is white and creamy in texture. It must be used in very small quantity and the face wash should be heavily diluted with water to get a runny consistency. Once when the face wash is spread on the face you can either rinse it off immediately or leave it for some minutes as I do. I feel when you leave the face wash for some time, it sinks deeper on your skin. You get clean and lightly scrubbed skin. If you rub the face wash before rinsing it off with water it can easily take care of your blackheads and white heads too. A little quantity is required per usage. So, with daily usage this face wash will last you easily for 2 months. Also, the face wash is quite gentle on skin. It does not leave your face dry thus you can use it on daily basis. The face wash is quite lighter on pocket so it can serve as the perfect daily face wash. The face wash is widely available both online and offline and in attractive discounts. It’s not going to make you any fairer than before as per claims. If you’re looking for a budget cleanser that cleanses well, while making your skin look bright, then Fair and Lovely Advanced Multivitamin face wash is worth trying. Great article. Keep posting such kind of information on your page. I’m really impressed by your blog.